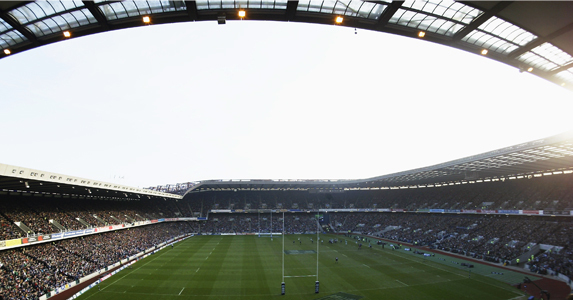 Edinburgh Rugby will open the 2011/12 Heineken Cup quarter-finals on Saturday 7 April against Toulouse at Murrayfield Stadium with a 3pm kick-off it was confirmed today. The club became the first Scottish side to secure home advantage in the last eight when a four-try home win over London Irish (34-11) set up a reverse of their 2004 fixture in the knockout rounds against the four-time champions. Around 11,000 supporters turned out for the win over the Irish Exiles with many snapping up a seat for the big match immediately after the final whistle. With the date and time now confirmed the club are expecting another rush for the hottest ticket in town, with advanced purchases priced at only £15 for adults, £10 for concessions and £5 for students and under-18s, with a special thank-you offer for season ticket holders coming soon. Scrum-half Mike Blair is one of five players that featured in the 2004 quarter-final and called on Scotland’s rugby supporters and sports’ fans to roar on the club to their first semi-final.